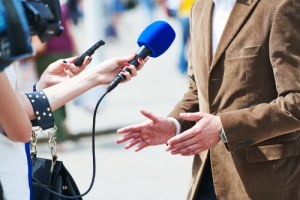 Whether it’s during a media interview or a presentation, if you are faced with a difficult question, there are a few things you can do, but you will have to deal with it – pretending it didn’t happen or answering with ‘no comment’ is rarely an option. It is really important to prepare yourself for every situation and practice these simple but effective techniques for dealing with difficult questions. We’ve put together these top tips and techniques to help you handle those tricky questions. As with many of the best techniques, the hard work can usually be done in advance as part of your preparation. It’s no good hoping that you won’t get asked anything tough, you have to assume that someone will have dug up that tricky query and will throw it at you, so considering the ‘good, bad and ugly’ issues you might get asked is essential. Inviting those around you for their input as well is likely to help ensure you have covered all or most bases. The second part of this is obviously to think of appropriate answers to the tricky questions – care needs to be taken if there are confidential or sensitive issues but some might well be answers you can easily find and then deliver, but if not, you may have to rely on other techniques. Sometimes you will simply not be able to answer the question, you either won’t have the information (if you just can’t remember or don’t have it in your head, just say you will come back to them – make sure you/a colleague does) or it may be something that can’t be publicly discussed – don’t underestimate the appetite and skill some journalists have for trying to elicit this kind of information from you. You can, subtly or not, say so but explain there is other information you could provide instead (e.g. “that’s not something I’m able to go into at this time, but what I can tell you is that…”). The alternative answer clearly has to be something ‘safe’ you can disclose and something that will be of interest to the audience – otherwise there’s little incentive for them to drop their original line. This method essentially offers a quid pro quo i.e. if you leave that topic alone, I can try and help you in another area. Acknowledge the question (e.g. “yes, that’s a point of view some in the market have…”) – if you don’t do this it will seem abrupt and rude. Bridge to what you want to say – this is often as simple as adding “…but/however/although…” etc. Communicate your message or the main point you are keen to get across (e.g. “…what clients are telling us is/what we’re seeing in the market is…”). These are just a few of the techniques you can use to handle difficult or even hostile questions – and it’s important to remember that you shouldn’t ever feel forced to discuss a topic you can’t/don’t want to. All these techniques need to be practiced to get them right and we obviously go into far more depth on how to use them in the training courses but with these you can make a huge difference to your confidence levels and ensure that you are able to deal with awkward questions if they do come up. For more information on any of our tailored media or presentation training sessions, please get in touch – we’d be delighted to help.